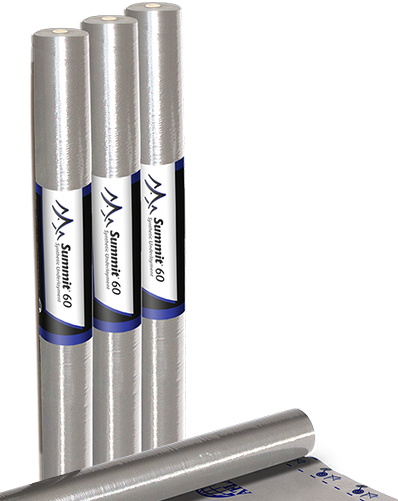 Summit® 60 and Summit® 180 synthetic underlayments are ideal for standard application for steep-slope roof assemblies. They are premium quality synthetic roof underlayments that provide 10 squares per roll, a benefit to wholesalers, shippers and installers alike. Woven scrim synthetic roof underlayment enhances tear resistance and lays flat while guarding against moisture and mold growth. 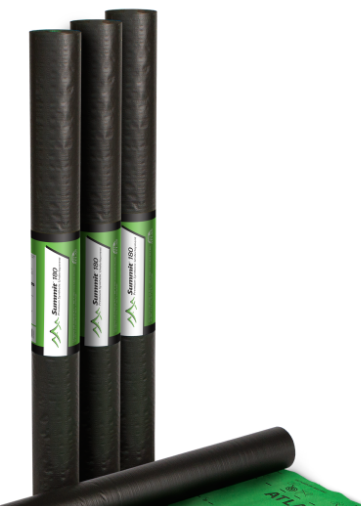 The Summit® family of synthetics is an excellent alternative to traditional #30 and #15 organic felt underlayment.